Have you spilled wine on your white couch? Did Junior decide to finger print on the carpet? May be Fido darted inside after a thunderstorm before you could wipe his paws and he tracked mud across the carpet and the couch. Regardless of why you have a stain or spot on your furniture or carpets, Maryland Carpets has the ability to get even the worst stains off of your flooring. We believe nothing creates warmth and totally enhances your residence or business like clean floors, furniture, and carpet. Clean floors and carpet are a timeless solution and our Maryland carpet cleaning business has far outlasted our competitors in the Baltimore area. By staying at the forefront of the carpet cleaning industry we have provided the latest in floor and carpet cleaning technology and products to our customers at reasonable rates. 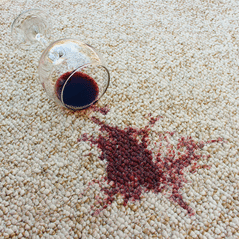 Maryland Carpets offers a complete, competitive, and simplistic way of removing stains & spots in the Baltimore area. Our prices are great, services professional, and communication the best in the Baltimore carpet cleaning industry. We have dedicated our business to cleaning and maintaining carpet, upholstery, and tile & grout flooring. Most of our customers are referrals- a testament to our solid reputation and our satisfying results. We are here to help guide you from selection of the stain removal services to get the results you desire. Over the years, clean floors and carpet have proven to have remarkable benefits, such as simple maintenance, increasing property value, and creating a sanitary and hypoallergenic environment. Our various carpet cleaning packages include a number of services in addition to stain revomal treatment such as mold & mildew removal and deodorization. With Maryland Carpets, you pay for having a stain-free carpet and furniture as well as a peace of mind. So take the hard work out of having a spot-free carpet and flooring and leave it to the experts. We provide carpet and upholstery cleaning services in which we clean your carpet, rugs, tile floors, and furniture as if it belonged to us. We will also arrange regular maintenance, guaranteeing your carpet is stainless at all times. If you desire spot and stains in your carpet or on your floor and upholstery removed the right way, once and for all, then give us a call at Maryland Carpets.